That's some real nice gear you got there. Be a shame if something were to...happen to it. You'd better find a secure place to put it. You're in luck; we have bags, cases, and pouches to fit every occasion. Configurable padded bag for the Cantar X3. Pelican case with custom cut foam for the CantarMini. Replacement protective pouch for transporting the Aaton CantarMini. Protective pouch for the ACN Tiny Lockit box. Waterproof cover for the Ambient ACD301 Time Code Slate. With wire-through. For items up to 9.75" circumference and 8.75" length. Includes belt. Not for constant immersion. Holds eight standard-size nine-volt batteries. Holds ten standard-size AA batteries. Holds eight standard-size CR123A batteries. Available in brown and green. Protects the SBOX-1N while maintaining usability in-pouch. Fits one or two Sharkie Shark Fin Antennas. Protective case for the TCD-1 Time Code Display. Padded bag designed for the Airo or other short boom pole and accessories. For smaller mixer/recorders like the SD MixPre-3/6 or Zoom F4/F8. Manage cables on your audio bag. Protects an audio bag in a Stingray harness from water. Designed for booms up to 52" collapsed. Protects sharkfin antennas from Betso, Lectrosonics, PSC, Sennheiser, WisyCom and Zaxcom. Strong and lightweight internal frame limited edition backpack which fits Stingray mixer bags and has room for accessories as well. Attaches to MOLLE straps on the Stingray Mixer Bags or Backpack for convenient boom pole storage. Fits any pole with a collapsed length of 52 inches or smaller, including the K-Tek K202. Fits any pole with a collapsed length of 35 inches or smaller, including the K-Tek K102 and KE89. Stingray Jr. Audio Bag and Waist Belt in one convenient bundle for field recording with the 633, F4/8, Maxx, or similarly-sized recorder. Designed for small rigs with a couple of wireless receivers and transmitters. Rigid frame bag designed to fit a Sound Devices 6-series recorder with the SL-6 and CL-6 attachments or other similarly-sized mixer. Set of three small pouches with transparent backs for lavaliers and other small items. Rigid frame bag designed to fit a Sound Devices 7-series recorder with CL-8 attachment, Zaxcom Nomad with FP8 or RX12, or other similarly-sized mixer. Semi-rigid clamshell case for two shotgun microphones of up to 1.1” (27mm) diameter. Stingray MixPro Audio Bag and Waist Belt in one convenient bundle for field recording with a MixPre-3/6 or similarly-sized recorder. Designed for the Sound Devices MixPre 3/6 and Zoom F4/F8 recorders. 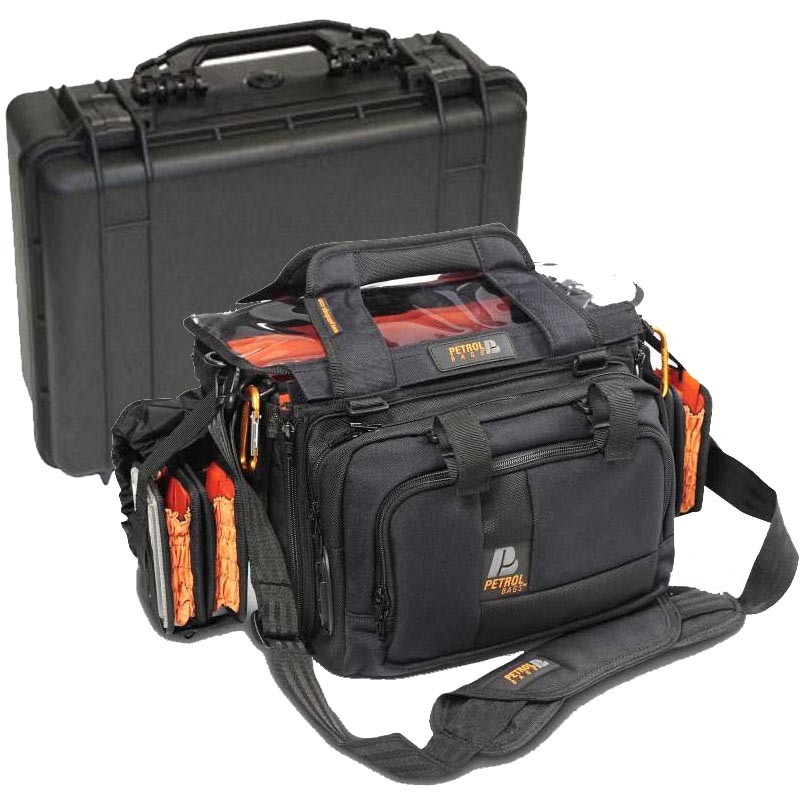 Rigid frame bag designed to fit a Sound Devices 633 recorder, Zaxcom Maxx, or other similarly-sized small mixer. Stingray Small Audio Bag and Waist Belt in one convenient bundle for field recording with the 633, F4/8, Maxx, or similarly-sized recorder. Attaches larger items to MOLLE straps, like those on the Stingray Harness, Backpack, or Mixer Bags. Includes two straps.